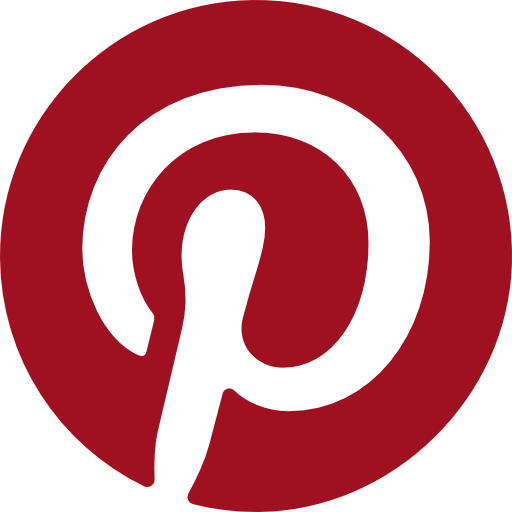 Rose Gold Jewellery There are 70 products. 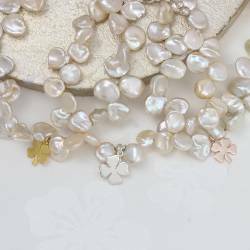 A beautiful white keshi pearl bracelet with a sterling silver or rose gold 4 leaf clover charm. The perfect gift to anyone who needs a bit of good luck. The Zodiac Disc and Heart Personalised Charm Necklace is a celebration of natural beauty. 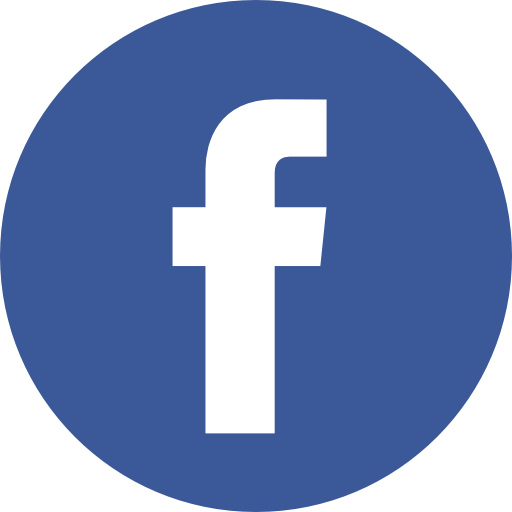 Including a two handcrafted charms and a genuine gemstone, it will add colour and character to every outfit. 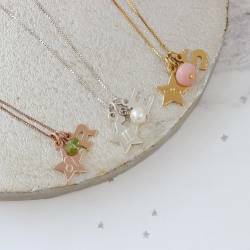 Beautifully embellished with a selection of personalised trinkets, the Zodiac Disc & Small Star Charm Necklace will make a standout addition to any jewellery box. 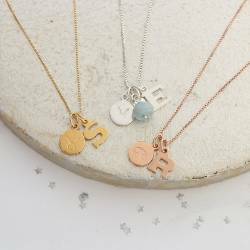 Pick a birthstone, send us your star sign, and choose an initial, and we’ll transform the Zodiac Disc & Star Initial Charm Necklace into the perfect personalised birthday gift. 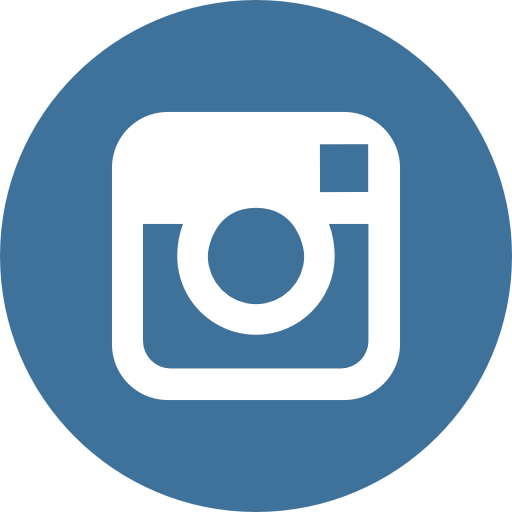 Add a touch of personalised perfection to your jewellery box with the Zodiac Disc & Tag Charm Necklace. 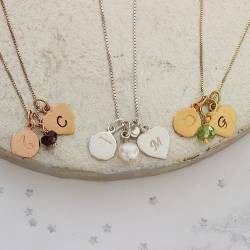 A birthday gift, it is customisable with the birthstone, initial and star sign of your choice. Looking for a meaningful birthday gift? 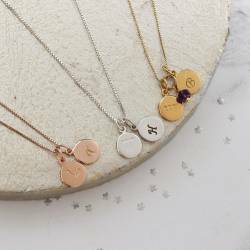 Look no further than the Zodiac Double Disc Charm Necklace.Customisable with the zodiac sign, her initial and birthstone, it is the perfect personalised gift. 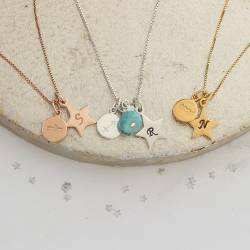 From our brand new Zodiac Collection comes this Personalised Charm Necklace. A lovely gift for birthdays and bridal parties, it will add celestial shimmer to any modern jewellery collection. 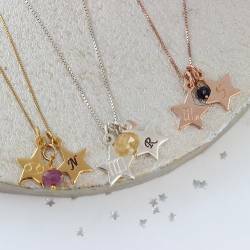 The Zodiac Star Personalised Charm Necklace is a stunning piece of jewellery for the modern woman. 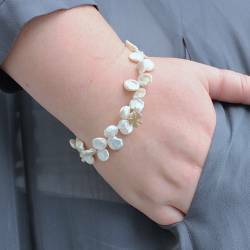 A fabulous gift for birthdays and bridesmaids, it exceeds all expectations. 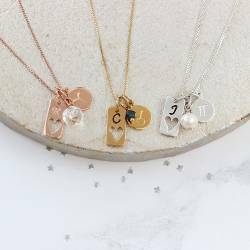 There is nothing quite like a Personalised Charm Necklace to transform an outfit. 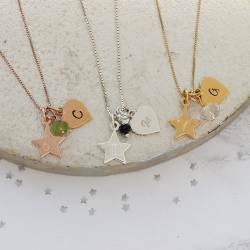 Modern, beautiful, and customised just for you, the Zodiac Star & Letter Charm Necklace is a jewellery box essential. 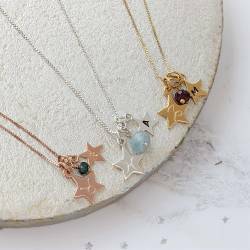 From our Zodiac Collection, this exquisite Personalised Star Charm Necklace will lend sophisticated shimmer to your everyday outfit. Add a birthstone gemstone for a pop of colour and stellar appeal. 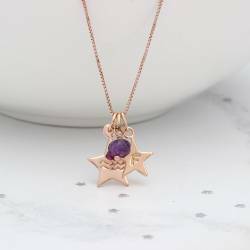 Featuring a delightful duo of star-shaped charms, the Zodiac Star Personalised Charm Necklace can be customised with the birthstone of your choice to create a colourful display for work and play. 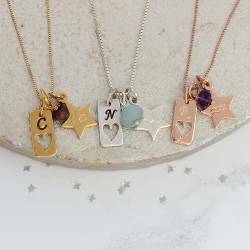 With its star-shaped charm, personalised tag, and optional birthstone embellishment, the Zodiac Personalised Charm Necklace is a stunning piece of jewellery for work, play and every day.